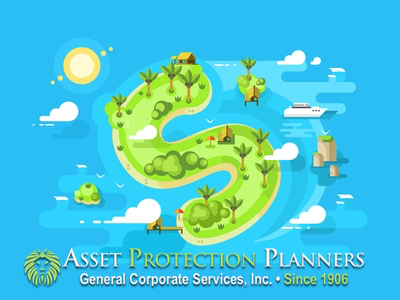 Establishing an offshore asset protection trust (OAPT) is a proven way for an individual to retain access to assets when under legal threat. This is especially true for Americans, who reside in a country with 4.4% of the world’s population, 80% of its lawyers and 96% of its lawsuits. From a handful of jurisdictions, countries that offer offshore asset protection services have increased considerably through the years. There are several points of comparison that should be taken into account before deciding which trust jurisdiction to choose. Which ones are the best? This article will answer that question, Additionally, we examine the statute of limitations on fraudulent transfer legislation in different offshore jurisdictions. For those concerned about OAPTs receiving governmental scrutiny, it’s prudent to also give more than a passing glance at domestic asset protection trusts, or DAPTs. Know the risks of holding assets domestically. There are some key differences between the offshore asset protection trusts and their domestic counterparts. First, many domestic trust have longer statutes of limitations on fraudulent conveyance than offshore. Not only that, but in bankruptcy, federal laws apply. Thus, under federal bankruptcy statues, if creditors force a debtor into bankruptcy the assets must have been in the trust for 10 years or more before they are safe from seizure. Second, US trustees are subject to US court orders to turn over trust assets. Foreign trustees are not. Third, we have seen serious setbacks for the use of cross-border trusts. For example, what if the trust is in one state (Nevada, for example) and the assets in another (say, California)? We regularly see states enforce the laws of the local jurisdiction and ignore the asset protection statutes across state lines. So, we have seen offshore trust protect assets more consistently than domestic ones. So, which offshore jurisdiction do you choose? Ultimately, the best offshore trust jurisdiction is one that suits your individual circumstances and meets your asset protection requirements. There are a number of offshore trust jurisdictions, some more commonly known than others. They are unrelenting in courting foreign investments. Thus, they consistently compete to make their jurisdiction more attractive to investors and their advisors. Indeed, there are several advantages to banking, setting up limited liability companies, and establishing various trusts in these investor-friendly nations. And with close to global availability, the internet and World Wide Web have made international communication and coordination a breeze under most circumstances. Cook Islands and United States lawyers crafted the International Trust Act 1984, also known as the Cook Islands Trust Act. It was a pioneering effort that provided a legitimate and secure way to protect assets from lawsuits without asset owners having to relinquish control over those assets. Several subsequent pieces of asset protection legislation were formulated by other offshore jurisdictions based on the Act. One of the ways any trust, whether domestic or foreign, can be penetrated is through a fraudulent conveyance claim. Courts judge fraudulent transfer to have occurred when assets are conveyed to a different person or entity (such as a trust) with the intent of placing them beyond the reach of legitimate creditors. Assuming a trust is valid, a fraudulent transfer claim is one of the most common ways creditors try to gain access to a debtor’s assets that it holds. In the United States, courts look for ‘badges of fraud’ to prove there was an intent on the part of the debtor to withhold payment to a creditor. In most U.S. courts, the goal is to assist creditors in collecting on a legitimate debt. In contrast, courts in offshore locations take a more sympathetic stance towards the debtor, not the creditor. This is one of the reasons OAPTs are becoming increasingly popular with individuals with assets to protect and preserve. Although some may argue otherwise, the case for Cook Islands, Nevis, Belize, and the Bahamas being four of the most preferred offshore jurisdictions is a strong one nonetheless. 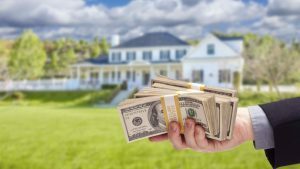 These locations are particularly attractive when it comes to the statute of limitations on fraudulent conveyance that they uphold. Belize is one of a handful of jurisdictions, perhaps even the only one, to offer immediate protection against fraudulent transfers for certain claims. A Belizean court will simply not entertain a claim of fraudulent conveyance against a trust that has been legally established. It should be noted however, that while this protection is immediate, it is not absolute. It can be set aside for reasons such as duress, mistakes, fraud, and incapacity or misrepresentation on the part of the settlor. That said, the protection against fraudulent conveyance that a Belizean trust enjoys cannot be set aside even if the settlor specifically sets up the trust to avoid claims by creditors, spouses, and heirs. This means if you set up an asset protection trust in Belize and transfer assets to it in the midst of a lawsuit, your creditors cannot go after your assets in the trust using a fraudulent conveyance claim. They will have to find other ways to get to your assets. Because of this iron-clad protection against most fraudulent transfer claims, asset owners often find a Belizean trust to be an attractive option. Other jurisdictions, including Cook Islands, Nevis, and the Bahamas, have a two-year statute of limitations on fraudulent conveyance. With a Cook Islands and Nevis trust, this is one year from the date a lawsuit is filed or two years from the reason why the lawsuit was filed. Once your trust in these and several other jurisdictions has been established for one to two years, in the Cook Islands or Nevis or two years in the Bahamas, local courts will no longer hear a claim of fraudulent transfer against it. Your creditors will have to find other means to penetrate the armor of the trust. So, those are the laws. Now, let’s discus professional experience. In Nevis and the Cook Islands, even if the fraudulent conveyance case is brought immediately after trust settlement, the creditor must prove their case beyond a reasonable doubt. In the US, this is by a mere preponderance of the evidence. So, in these jurisdictions, a creditor must prove a fraudulent transfer claim on a 97% to 3% level; not the 51%/49% US standard. In the United States, this level of proof is required for criminal cases, not civil ones. This is the highest level of proof accepted in about any court and one that is extremely difficult to attain. Not only that, but the creditor must prove that the transfer into the trust was made to defraud that particular creditor, and not just any creditor. A fraudulent transfer claim against an offshore trust is also often saddled with additional legal requirements. Cook Islands requires each creditor to hire a lawyer in the islands to challenge a trust in court. If there is more than one creditor after the assets in your Cook Islands asset protection trust, they cannot hire one local lawyer to represent all of them, which is often done in U.S. courts. Additionally, Cook Islands legislation, unlike U.S. laws, doesn’t allow for contingency cases. This means a creditor must pay a percentage of the lawyer’s fees upfront, before their claim can even be heard. By contrast, U.S. laws allows for contingency cases where lawyers collect their fees only when they are successful in arguing their case in court. 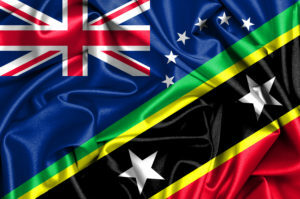 Moreover, the reputation and ethical standards of the Cook Islands (first) and Nevis (second) jurisdictions far surpass that of Belize. In addition, the case law history for the Cook Islands has proven substantive for our clients seeking asset protection. We have not seen one of our clients lose money placed into one of our Cook Islands trust. The protective statutes, high standards of professional integrity and favorable case law are the main reasons why our executives have chosen the Cook Islands for their own families. The window of opportunity to bring a fraudulent transfer claim against a DAPT is typically four years in most states. Looking at this number alone, one wonders why anyone would choose to establish a domestic trust versus an offshore one. A four-year statute of limitations means your assets are vulnerable for a much longer period of time. But this number doesn’t quite tell the entire story. Even if brought after the statute of limitations runs out, we have seen domestic trusts breached. There are currently 16 states in America that allow for the establishment of DAPTs. These are the following (listed alphabetically): Alaska, Delaware, Hawaii, Mississippi, Missouri, Nevada, New Hampshire, Ohio, Oklahoma, Rhode Island, South Dakota, Tennessee, Utah, Virginia, West Virginia, and Wyoming. All these states allow creditors to pierce the protective armor of a DAPT if they can prove fraudulent conveyance. Among the states that have DAPT legislation in their books, Ohio has the shortest statute of limitations on fraudulent conveyance: 1.5 years. Hawaii, Mississippi, Nevada, South Dakota, Tennessee, and Utah give creditors two years to file a claim of fraudulent conveyance against a debtor. The rest of the states in this list have a four-year statute of limitations on fraudulent transfer. In deciding where to set up your DAPT, the length of the jurisdiction’s statute of limitations on fraudulent conveyance should not be your sole criteria. Depending on your particular set of circumstances, it may not even be the deciding or most important factor. For example, a Nevada asset protection trust does not recognize any type of exception creditor. It is the only state without this provision as part of its DAPT legislation. Most states treat child support cases, certain pre-existing creditors, and divorcing spouses as exception creditors. Exception creditors can penetrate a DAPT’s protection without having to prove a fraudulent conveyance claim. This lack of provision for an exception creditor may be a more relevant criteria for your personal circumstances than the state’s two-year statute of limitations for fraudulent transfer. As a side note, it is important to point out that one should place trust assets beyond the reach of your local courts. You may have a fancy trust, but the judge has jurisdiction over the local bank. Global Finance’s current annual bank safety rating shows that of the top 50 safest banks only three are in the United States. Not only that, but they are all on the bottom half of the list at numbers 36, 43 and 45 out of 50. So, if you are in the US, there are much safer banks offshore than onshore. Keep in mind, an offshore bank, alone, won’t work. The judge will just order you to bring the funds back. A combination of an offshore bank plus trustee not subject to the local courts is the winning combination. What about local real estate? We can strip the equity out of domestic real estate and place the proceeds in the offshore trust as well. We have institutions who can place mortgages on domestic real property. They then place the proceeds in an untouchable account within your offshore trust. Asset protection instruments used to be wielded only by high net worth individuals. No longer. Faced with ever-increasing and often frivolous claims against their assets, more and more ‘regular’ individuals are turning to a variety of asset protection instruments to preserve and protect their assets. An OAPT is one such popular vehicle. One of the most attractive features of an offshore trust is the protection it provides against fraudulent conveyance claims. These offshore jurisdictions have shorter statutes of limitations when it comes to fraudulent transfer claims than trusts set up in a U.S. jurisdiction. Keep in mind, however, that the length of an offshore location’s statute of limitations should not be the sole criteria for selecting that country for your OAPT. The case law history, or how challenges have played out in court also plays a role in decision-making. The best way to make this decision is to talk with a seasoned and reliable asset protection professional. This article will at least give you a starting point for your discussion. You can use the telephone numbers and contact form on this page to talk with one of our trained asset protection consultants for more information.